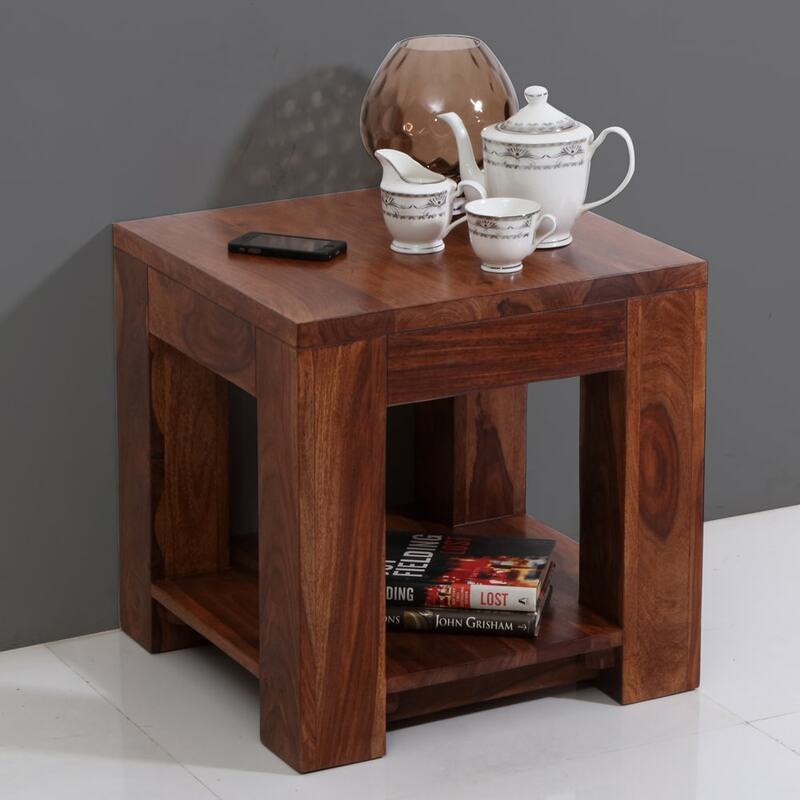 Petite charm and practical usage define the Vermount Solidwood End Table. Featured in a shade of light walnut, this piece has been constructed with the finest available Sheesham wood, which is notable for its durability and toughness. The base and legs of this end table are a lighter walnut colour, while the other sections of the table are finished in a deeper tone. Altogether, this combines to present a gorgeous end product in natural, woody tones. An added rack at the bottom of this table adds an element of convenience. This space can be used to hold books, magazines, or a fabric basket with all your essentials. You can choose to buy this piece from our online furniture site, or visit any of our 25 furniture stores across India for the best deals in home furniture.